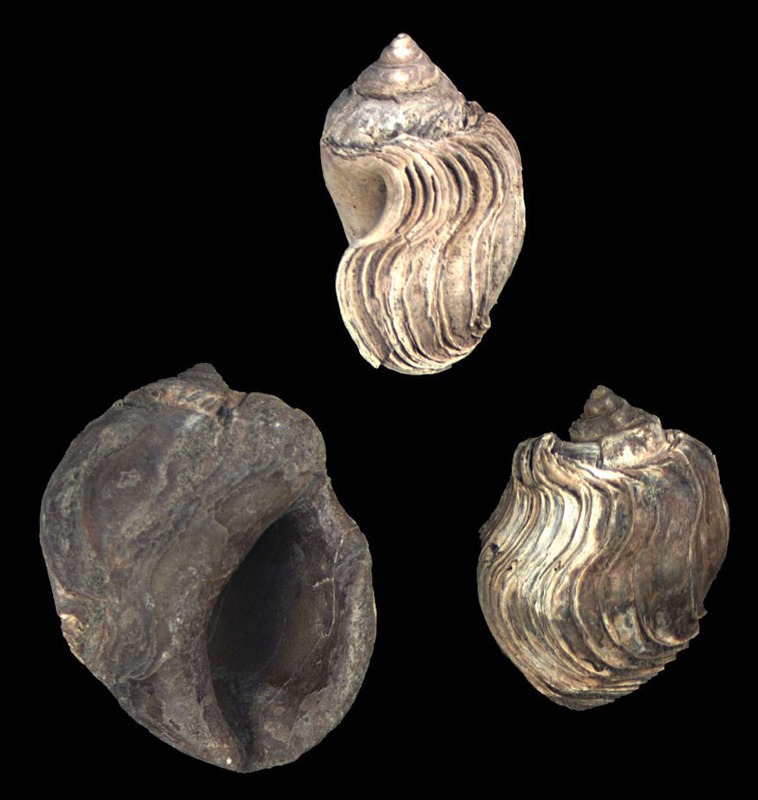 "Shell medium sized, with low to moderately elevated spire consisting of 4 to 5 whorls. 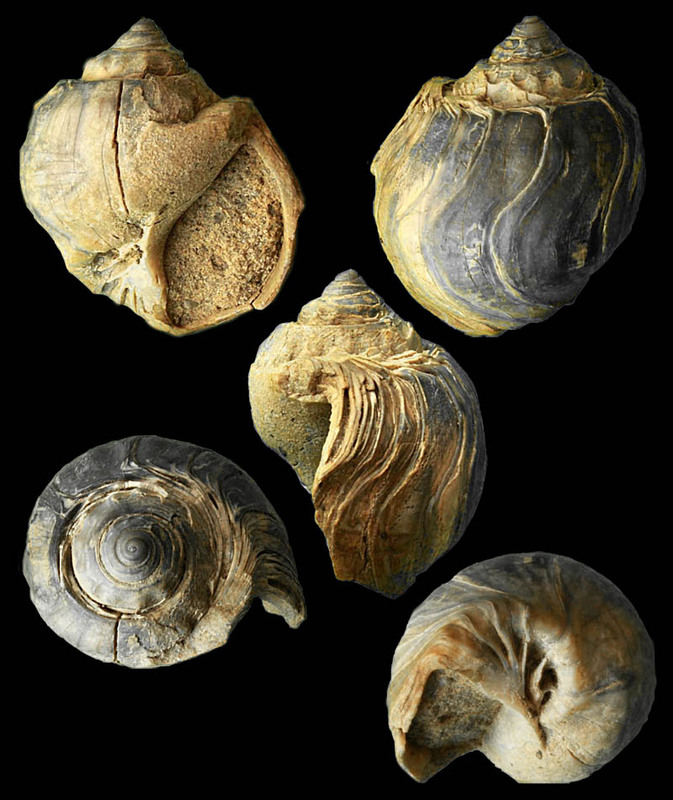 Early whorls decorated with fine spiral threads and prominent, elongate, slightly inclined axial nodes. 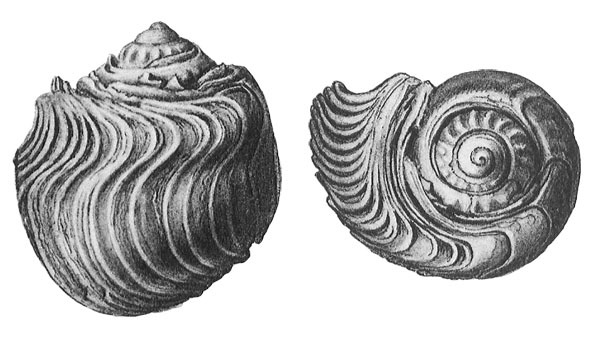 Both axial and spiral ornamentation appear simultaneously on the second whorl. This ornamentation becomes obsolete on penultimate whorl. 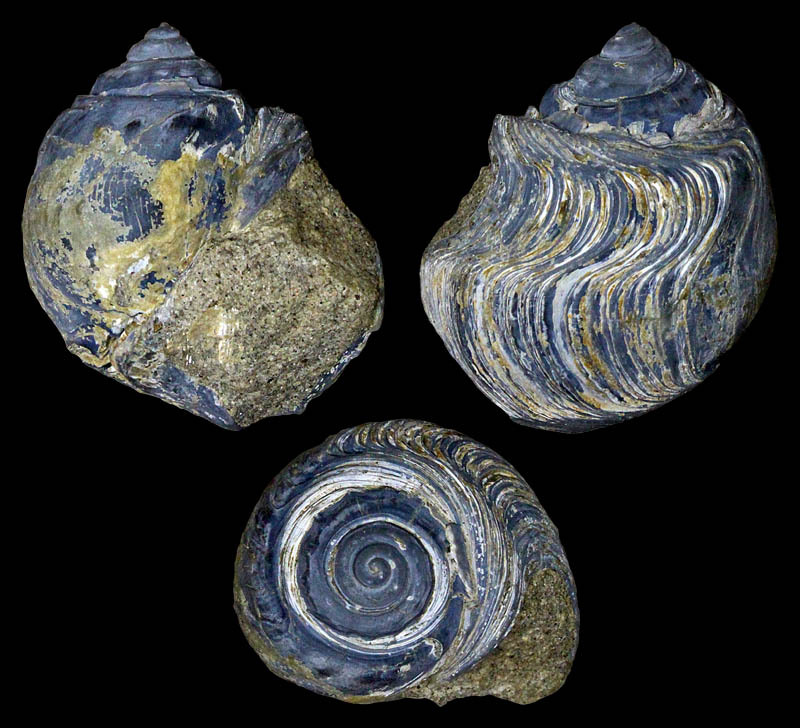 Occasionally, faint traces of the spiral threads may be seen on the body whorl, but on the axial nodes are completely absent. The body whorl sculpture consists of numerous, sinuous, varix-like growth increments. 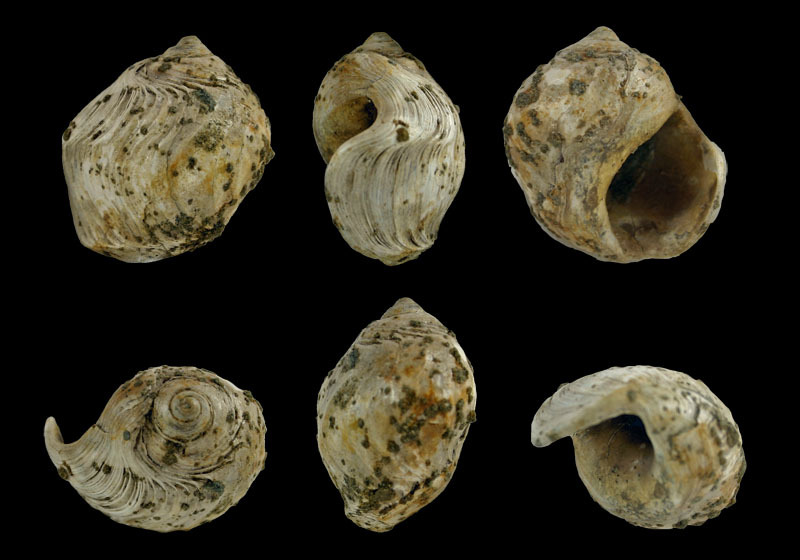 On the early whorls, the growth increments are widely spaced, but on adult individuals, the increments become very closely spaced on the wing (16 to 18 per cm.). The posterior sinus is broad and moderately deep. 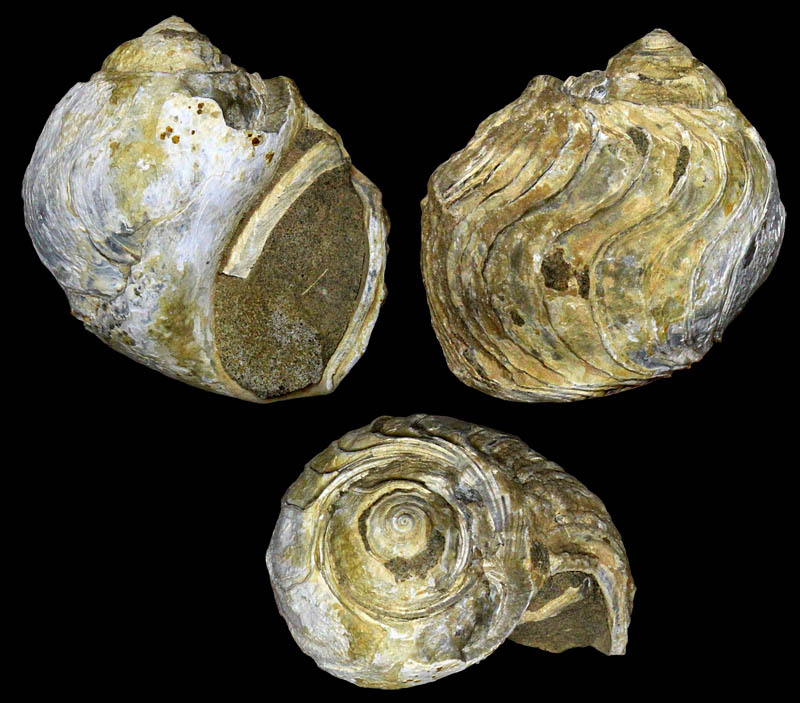 The siphonal fasicole forms a low ridge along the anterior margin of the body whorl. The massive callus extends well above the aperture, covering half of the body whorl, and in some cases, extending above the spire. This massive callus imparts a globular outline to the adult shell. Near the inner lip, the callus forms a thick flat pad. The apertureis sublenticular with the columella distinctly curved." Etymology: named after D.H. Elliot from the Institute of Polar Studies at The Ohio State University. "Wilckens (1911) described a specimen (pl. 1, figs. 25a, b) which he refered to as A. nordenskjoldi. Examination of the specimen has shown it to be an incomplete specimen of A. ellioti n. sp. with most of the callus broken off."